First elected into office in 1953, under the Liberal government of Prime Minister Louis St. Laurent, the Honourable Allan J. MacEachen was instrumental in designing Canada’s social programmes. Although he was not reelected in 1958, his only political defeat, he did not leave Ottawa. He worked instead as a special assistant and consultant on economic affairs for the Right Honourable Lester B. Pearson, a Nobel Laureate. Under Louis St. Laurent, Canada had begun putting into place social programs that would protect Canadians. For Mr MacEachen, this endeavour would culminate in the Medical Care Act, passed by Parliament in 1966, when Mr MacEachen served as Minister of National Health and Welfare (1965-1968). The implementation of Medicare was a major victory for Mr MacEachen and an enormous gift to Canadians. It was, in fact, a major historical moment. A nation was born. Moreover, Allan J. MacEachen was born in Inverness, Cape Breton, the son of a coal miner. The coal miners of Cape Breton toiled painfully, and often died, reaping coal deep underground and bringing it to the surface. (Have you seen Margaret’s Museum, a 1995 British-Canadian film based on a story by Sheldon Currie, a former teacher at StFX?) When interviewed by Steve Sutherland of the CBC, Mr MacEachen said that the miners of Inverness were “poor” and, that, when they had to retire, they did not have a “pension.” He had witnessed poverty. 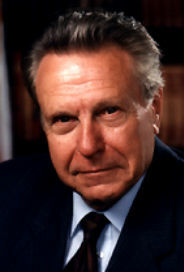 The Honourable Allan J MacEachen studied at the Massachusetts Institute for Technology (MIT), and became a professor of Economics. In his CBC interview, he said that people were not interested in what he knew. They wanted to know what he could do for them. They had needs which he understood and he was in a position to help his nation. He had the knowledge and the shrewdness to do so. During the same interview, Mr MacEachen stated that, as a politician, he had learned that he had to “obey” his constituents. He had learned to “listen” to the people, to “serve” them, and to “take Canada into account.” That interview is a lesson in leadership and nationhood. Mr MacEachen cared for the people, as should all elected officials. Former US President Bill Clinton is a recent visitor to StFX University. On 11 May 2011, President Clinton opened StFX University’s Frank McKenna Centre for Leadership. That Centre has solid foundations. The Honourable Allan J. MacEachen was Minister of Amateur Sport, Minister of National Health and Welfare, Minister of Manpower and Immigration, Minister of Finance, Leader of the Government in the House of Commons, Secretary of State for External Affairs, Deputy Prime Minister of Canada, and a Senator. In this capacity, he was the Leader of the Government in the Senate. For two decades, the Honourable Allan J. MacEachen was also my next-door neighbour in Antigonish, N. S. and a dear friend. I am honoured to say that he remains a dear friend. First elected into office in 1553, under the Liberal government of Prime Minister Louis St. Laurent, the Honourable Allan J. MacEachen was instrumental in designing Canada’s social programmes. Under Louis St. Laurent, Canada had begun putting into place social programs that would protect Canadians. For Mr MacEachen, this endeavour would culminate in the Medical Care Act, passed by Parliament in 1966, when Mr MacEachen served as Minister of National Health and Welfare (1965-1968). The implementation of Medicare was a major victory for Mr MacEachen and an enormous gift to Canadians. It was, in fact, an major historical moment. A nation was born. Moreover, Allan J. MacEachen was born in Inverness, Cape Breton, the son of a coal miner. The coal miners of Cape Breton toiled painfully, and often died, reaping coal deep underground and bringing it to the surface. (Have you seen Margaret’s Museum, a 1995 British-Canadian film based on a story by Sheldon Currie, a former teacher at StFX? When interviewed by Steve Sutherland of the CBC, Mr MacEachen said that the miners of Inverness were “poor” and, that, when they had to retire, they did not have a “pension.” He had witnessed poverty. The Honourable Allan J MacEachen had studied at the Massachusetts Institute for Technology (MIT), and became a professor of Economics. In his CBC interview, he said that people were not interested in what he knew. They wanted to know what he could do for them. They had needs which he understood and he was in a position to help his nation. He had the knowledge and the shrewdness to do so.